A passer-by noticed on Wednesday morning that something was wrong with a gardener pruning a palm tree in Calle Araucaria in Icod de los Vinos. He alerted the emergency services. In fact, the man had suffered cardiac arrest at a height of 12 metres after being caught up in the lifting and support system. 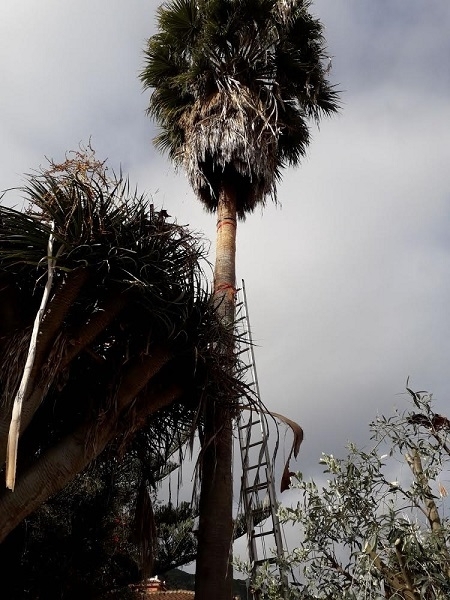 15.03.2018 - Firefighters from Icod de los Vinos rescued the man from the top of the palm tree. He was resuscitated on site and taken in critical condition to the University Hospital HUC in La Laguna. Produced with news.CMS in 0,8204 seconds.